Almond flour is just finely ground whole almonds. Most groceries now stock it in the baking goods aisle or with natural foods (one common brand is Bob’s Red Mill). You can make your own using a food processor or blender—just be sure not to grind the nuts too long or you’ll end up with almond butter! 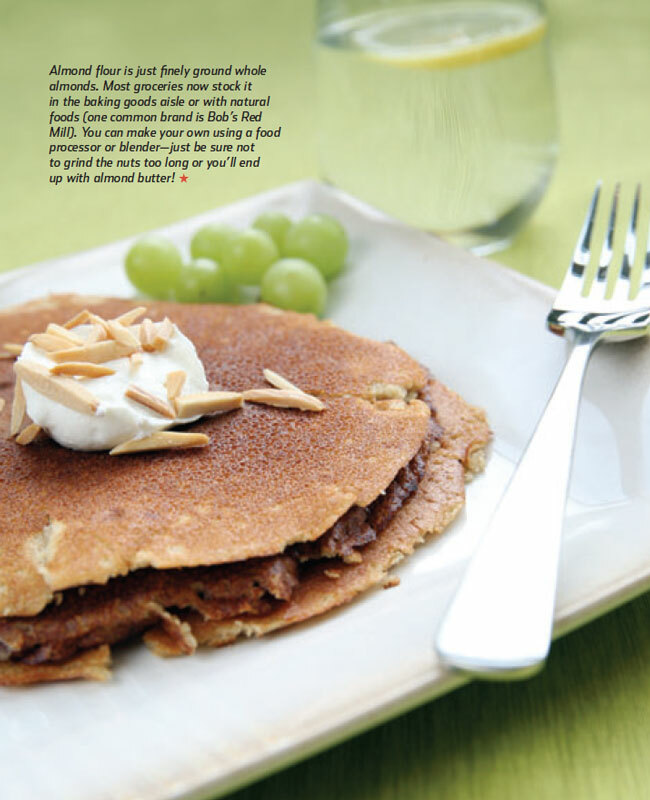 Download this Feed Zone Cookbook recipe pdf:The Feed Zone Cookbook Cinnamon Almond Pancakes (pdf). These look good. By the way, what do you have in between the pancakes in the photo? These look good. By the way, what is in between the pancakes in the photo? Those are three pancakes with almond slivers on top! One of our favorites.